A new study has shown that the arm bones of Neolithic women were 11-16% stronger. Elite rowers train 21 hours-a-week, rowing an average of 120 km. PREHISTORIC WOMEN HAD stronger arms than modern-day rowers, likely due to the rigours of early farming which included tilling fields and grinding grain by hand. A study in the journal Science Advances is the first to compare the bones of women who lived 7,000 years ago in Central Europe to women of today — specifically championship rowers and British college students. Previous studies have compared female to male bones, but this approach likely underestimated the workload of women because men’s bones “respond to strain in a more visibly dramatic way than female bones,” said the report. Repeated exercise, or lack of it, can affect bone density, curvature and shape. 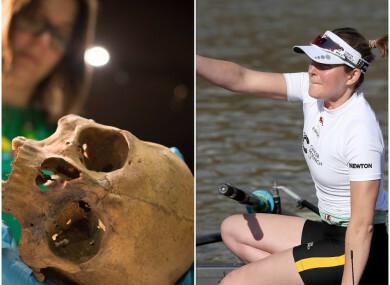 Researchers found that the arm bones of Neolithic women — who lived from 7,000 to 7,400 years ago — were 11-16% stronger for their size than rowers from the elite Cambridge University Women’s Boat Club. These rowers are mostly in their early twenties and have been training for seven years. Each week they practice for 21 hours and row an average of 120 km. The primitive female farmers’ arms were almost 30% stronger than typical Cambridge students, said the report. “By interpreting women’s bones in a female-specific context we can start to see how intensive, variable and labourious their behaviors were, hinting at a hidden history of women’s work over thousands of years,” said lead author Alison Macintosh of Cambridge University. Unlike rowers, who perform repetitive motions, prehistoric women performed such a vast scope of tasks that researchers found it difficult to identify any one particular activity from analysing their bones. “Prior to the invention of the plough, subsistence farming involved manually planting, tilling and harvesting all crops,” said Macintosh. Women were also likely to have been fetching food and water for domestic livestock, processing milk and meat, and converting hides and wool into textiles. A major component of female work was also converting grain into flour, using two large stones called a saddle quern. “Our findings suggest that for thousands of years, the rigorous manual labour of women was a crucial driver of early farming economies,” said senior study author Jay Stock, a researcher at Cambridge University. Email “Prehistoric women crushing grain into flour were stronger than today's Olympic standard rowers ”. Feedback on “Prehistoric women crushing grain into flour were stronger than today's Olympic standard rowers ”.